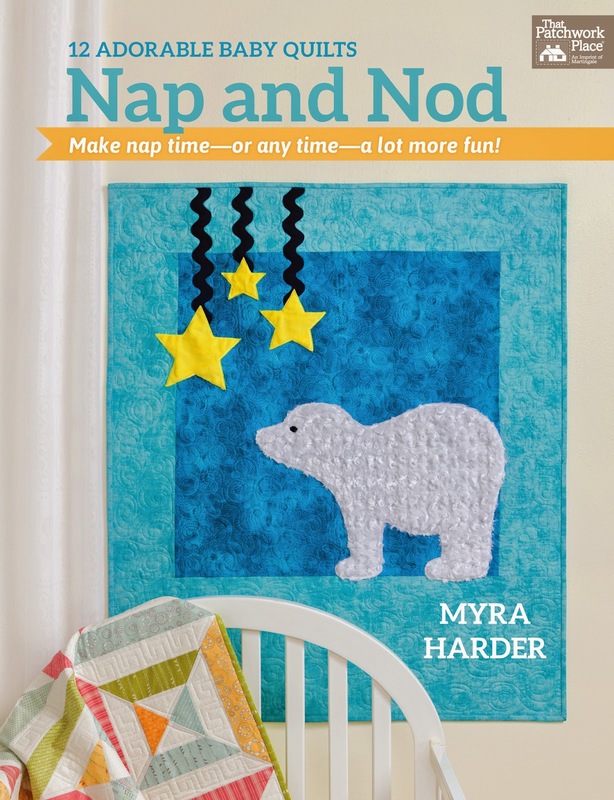 Nap and Nod is the wonderful new book by quilter, Myra Harder. 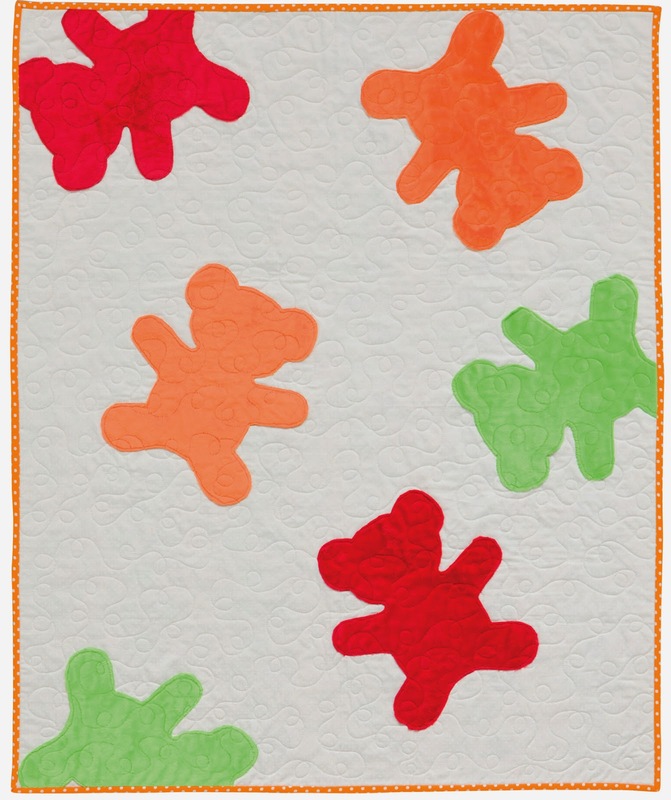 It is filled with 12 patterns to make adorable quilts for babies. I love making baby quilts and I know that a lot of my friends out there, relish the idea of their friends and family having babies, so that they have an excuse to make cute baby quilts. Nap and Nod begins with the piecing and quilting basics. This section is explained very well and has great images to assist the sewist in basic quilt construction. And then, we move on to the patterns. Nap and Nod includes both pieced quilts along with some quilts with incorporate appliqué. The appliqué is not difficult and perfectly suited to a new quilter (perhaps one who is looking to make a quilt for her own baby). Nap and Nod is a great addition to the craft book library. It is full of ideas for new baby quilts and best of all, full size patterns to applique. Nap and Nod is available from the Martingale Shop. Ooooh, with a new grandchild on the way this book would be excellent. Thanks for showing it to us Anorina. What a great little book for quilts for littlies! So many gorgeous quilts. Thanks for sharing your review, I will have to keep an eye out for this one.